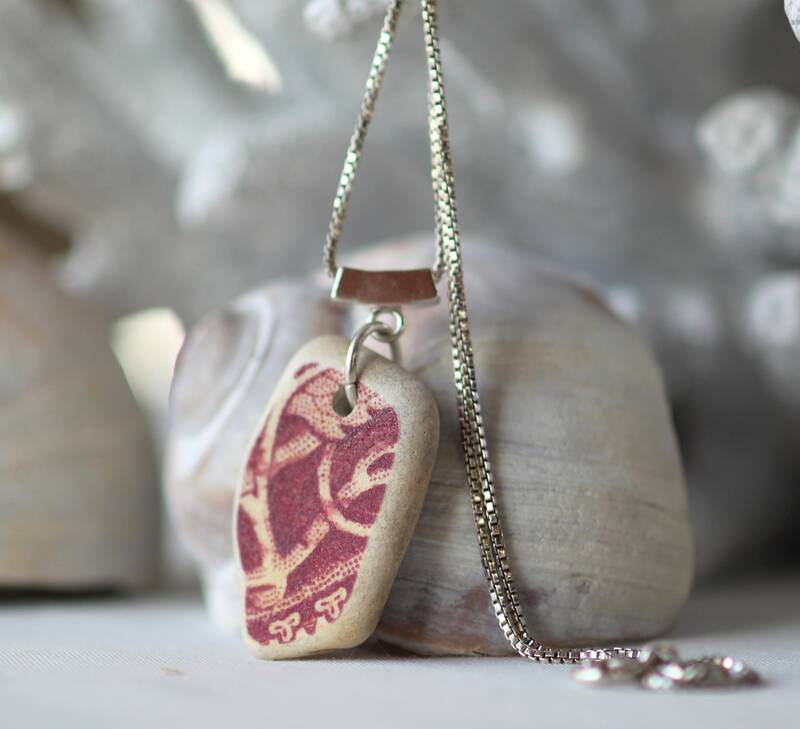 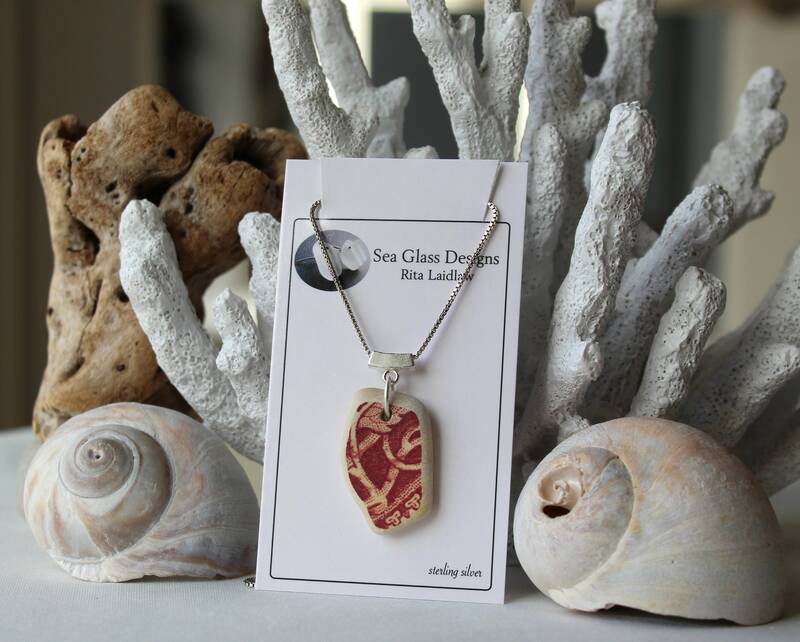 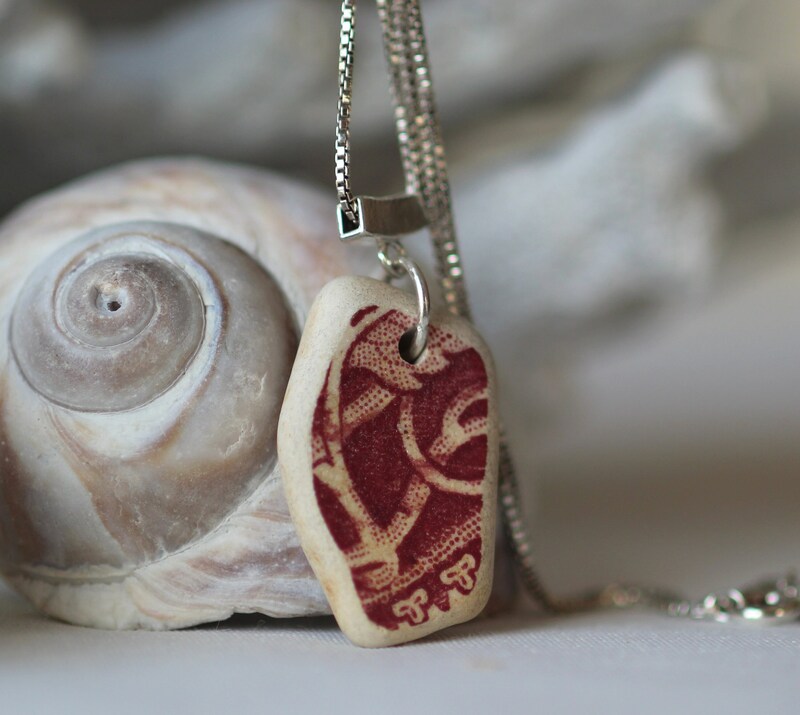 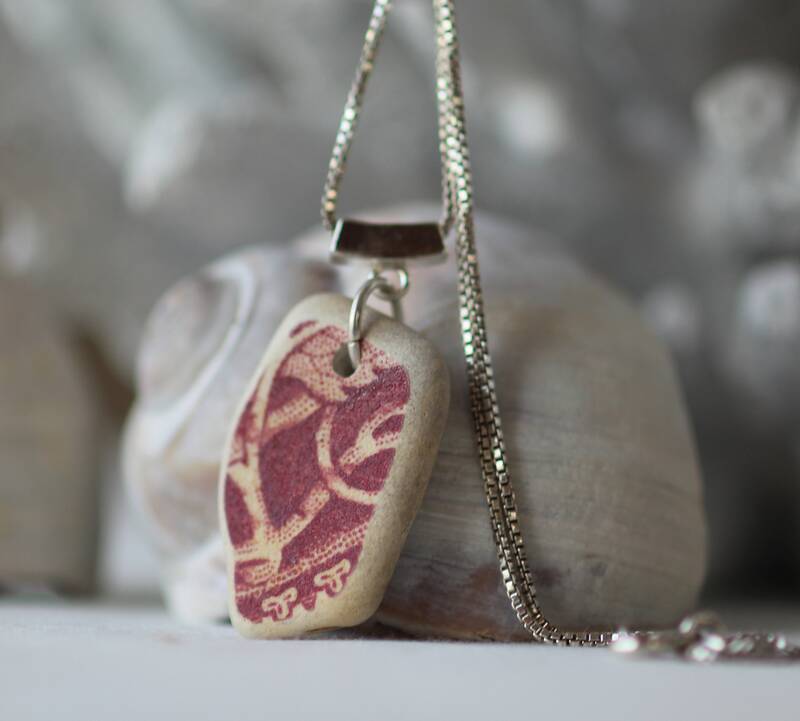 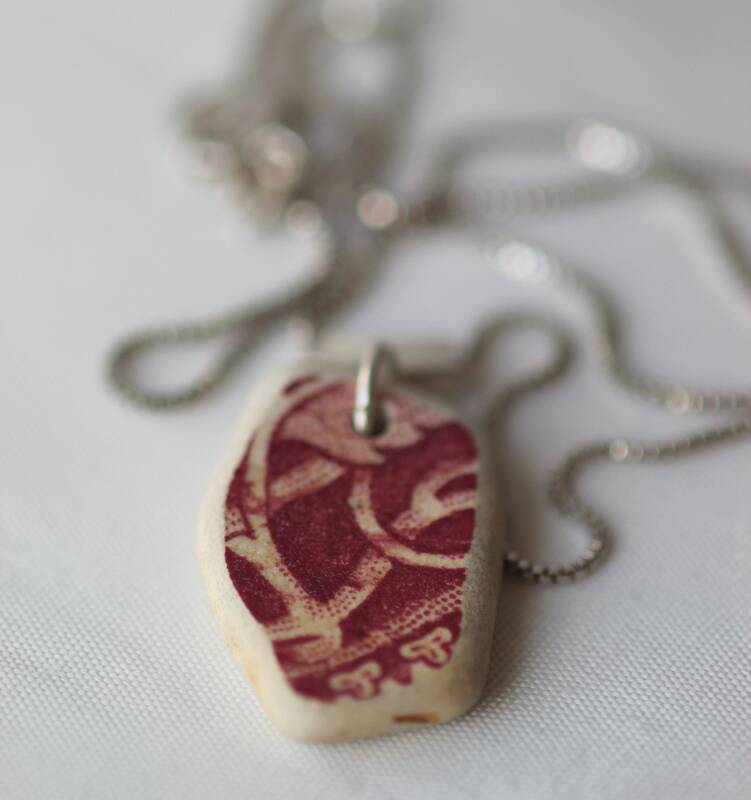 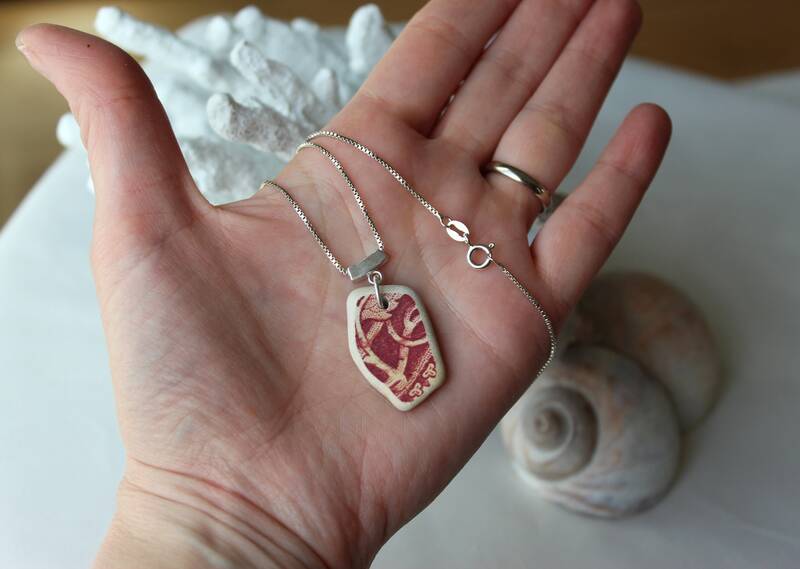 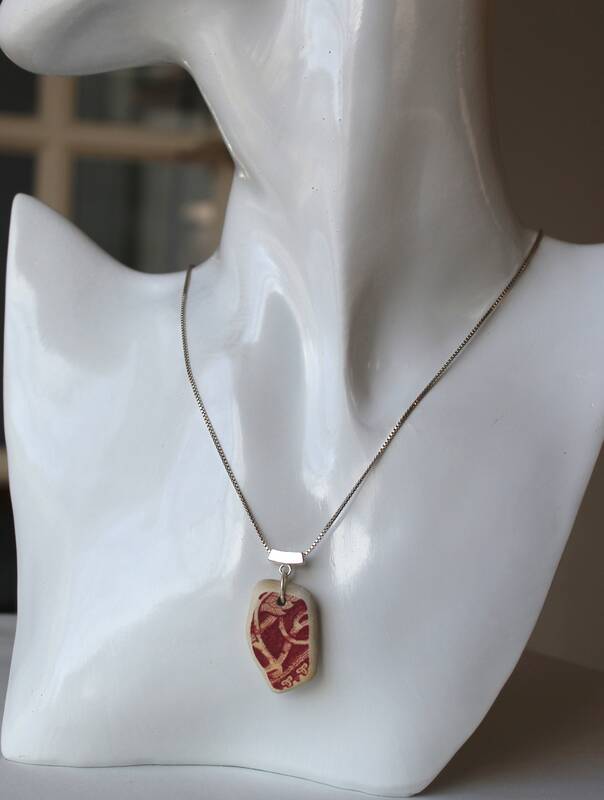 This Sea Story vintage sea pottery necklace features a shard of genuine beach pottery in a deep wine hue. 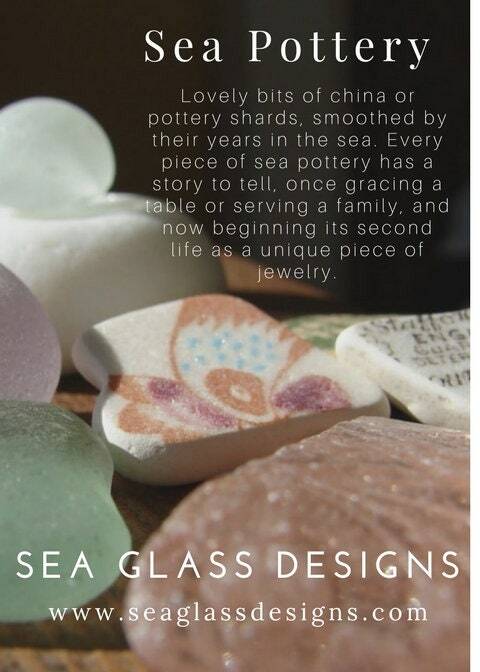 The design is original to the china, lovingly smoothed and polished by the sea, and found on a Nova Scotia beach. 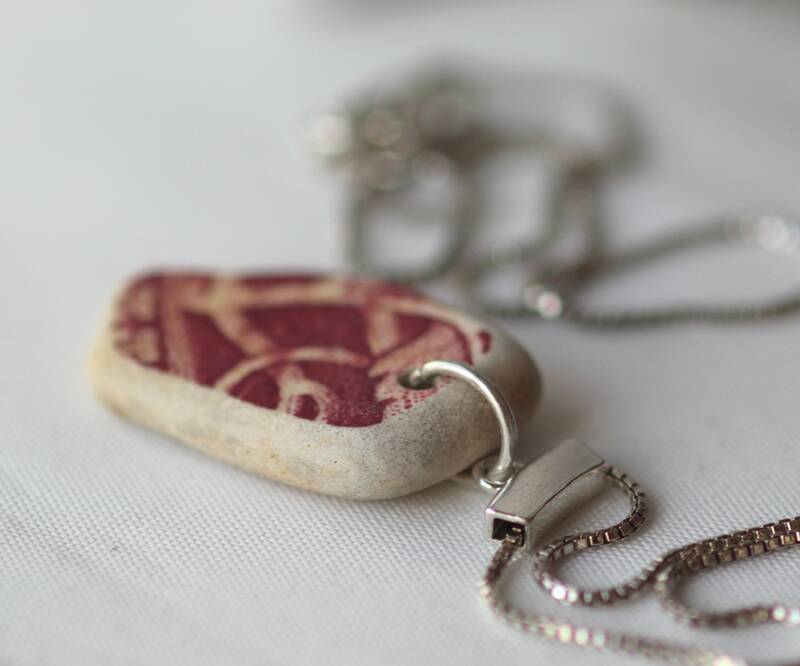 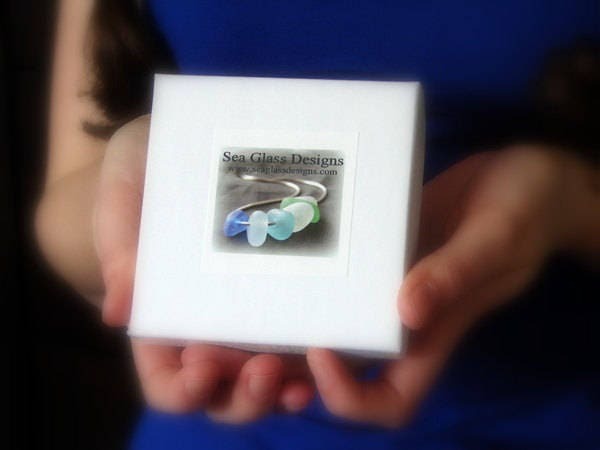 The pendant measures 1 3/8 inches in length including the silver bail, and hangs on an 18" sterling silver box chain.